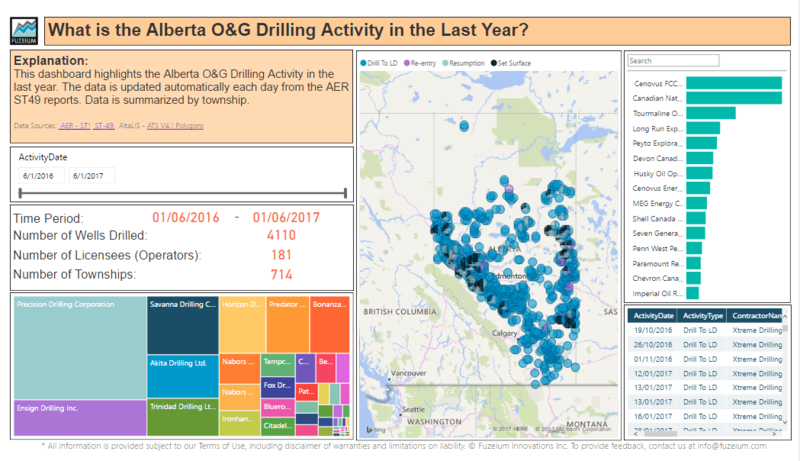 Who’s Been Drill’n for Oil & Gas in Alberta? 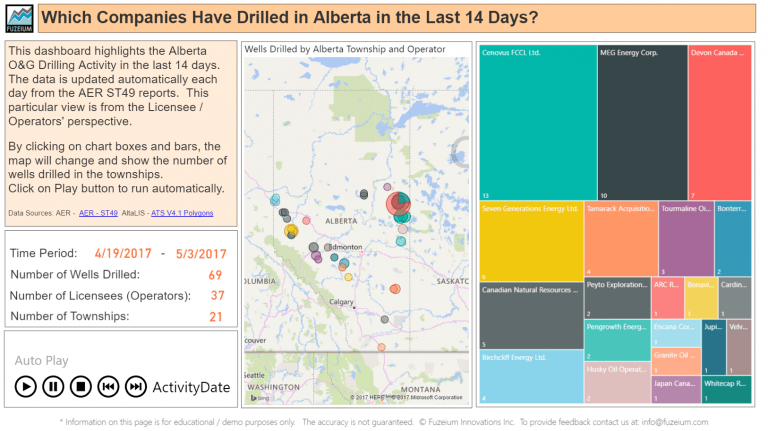 Who’s been drilling in Alberta? Well, it is a moving target, but this dashboard shows the last 14 days. Click on the dashboard below to find out. And if you want more detail over the last year and see who the drilling contractors were, subscribe to Fuzeium’s Well Intelligence module. You’ll be able to access a drilling activity dashboard that looks something like the following, which was captured as just an image on Jun 2, 2017. The data used is AER ST 49 – Daily Drilling Activity (spudding of new wells). Interpretation of the source data is done by Fuzeium using a variety of data integration and visualization techniques.